Do Ты feel that Sense & Sensibility is overshadowed by Pride & Prejudice, and as a result, is undervalued? Выбор фанов: In my вверх 5. Twenty-four years after the BBC aired its 1971 version of Jane Austen’s 1818 novel, ”Persuasion”; and twelve years before ITV aired its adaptation; Columbia Pictures released its own version on British Телевидение and in movie theaters across the U.S. The movie went on to become highly acclaimed, the winner of a BAFTA TV award for Best Single Drama, and regarded as the definitive version of Austen’s novel. Jane Austen's 1811 novel, "Sense and Sensibility" has been a Избранное with her modern-day fans. The novel has produced at least three Телевидение and two movie adaptations and a literary parody. However, this review is about the seven-part, 1981 BBC adaptation. Most movie and Телевидение adaptations of Jane Austen’s novels are either highly acclaimed или perhaps even liked by Фаны and critics alike. I can only think of two или three adaptations that have been dismissed them. And one of them happened to be the 1986 A&E Network/BBC adaptation of Austen’s 1817 novel, "Northanger Abbey". 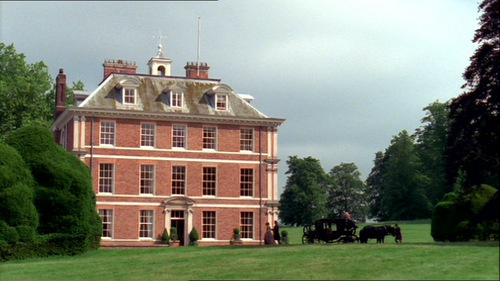 Long before Patricia Rozema wrote and directed her 1999 adaptation of "Mansfield Park", Jane Austen’s 1814 novel, the BBC aired its own adaptation some sixteen years earlier. This one came in the form of a six-part miniseries and is regarded by many Austen Фаны as the definitive screen version of the novel. As many Фаны of Jane Austen must know, there have been several screen and Телевидение adaptations of the author’s most celebrated novel, "Pride and Prejudice", published in 1813. I usually come across at least five of those versions – including the six-part BBC adaptation that aired in the U.S. in 1980. The miniseries was adapted by Fay Weldon and directed by Cyril Coke. There have been at least eight adaptations of "Pride and Prejudice", Jane Austen's 1813 novel. But as far as I know, only four are well known или constantly mentioned by many of the novelist's present-day fans. And one of the four happens to be the movie adapted in 1940 by Metro-Goldwyn-Mayer. All of Jane Austen's completed novels were first published during the Regency decade between 1810 and 1819, leaving present-day Фаны to celebrate the 200th anniversaries of each novel during this decade (2010-2019). Among those novels are "PRIDE AND PREJUDICE", now celebrating its bicentennial anniversary and "MANSFIELD PARK", which will be doing the same Далее year. Appearing consitenly in the вверх ten romances of all time. a comment was made to the poll: Which 2000's Jane Austen adaptations do Ты prefer ?